Figure skater Adam Rippon after competing in the men's short program at the PyeongChang Olympics. 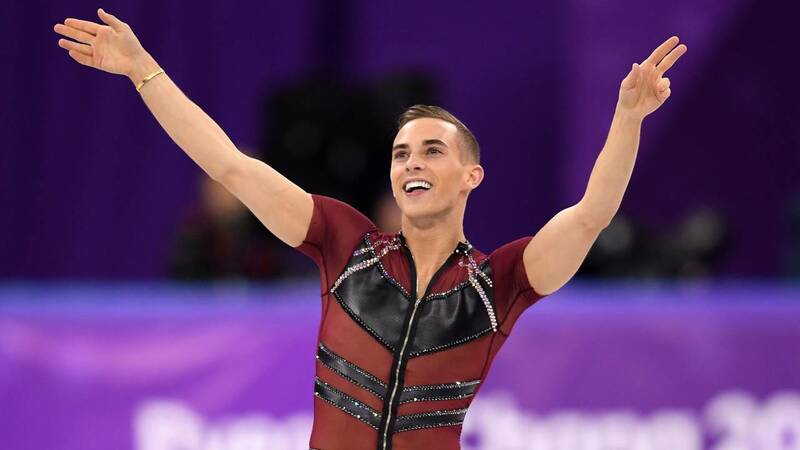 (CNN) - Bronze medalist Adam Rippon opened up Wednesday about using his platform at the Olympics to advocate for the LGBTQ community and human rights. "The whole world is watching. There are a lot of young people watching," the openly gay figure skater told Chris Cuomo and Alisyn Camerota on CNN's "New Day." "I felt a responsibility to speak up for people who I felt may not feel that they have a voice. I feel like at this time, especially in this political climate, it's really important to speak up for things that really matter to you." Rippon attracted attention for criticizing Vice President Mike Pence as leader of the US Olympic delegation at last month's Winter Games over his stance on gay rights. "Is it true that after that, the vice president reached out and wanted to have a meeting of some kind with you and you turned that down?" Camerota asked the Olympian. Rippon confirmed he initially rejected such an offer before the Games. He had already said in late February he would be comfortable talking to Pence now. Asked what would he say, the figure skater brought up a tweet the vice president had sent saying he and the administration were "for" Rippon and other American athletes. "I think that's great, but I don't believe it," Rippon said. "When I go home, are you still 'for' me? Are you still 'for' other LGBTQ Americans? Are you still 'for' that trans man or woman that wants to join the military? Are you still 'for' that lesbian couple that want to get married? That's where I feel like the tweet is almost disingenuous." When he was governor of Indiana, Pence, a staunch social conservative, signed a controversial law that allowed businesses to turn away gay and lesbian customers in the name of religious freedom. Facing criticism, he backpedaled and signed an amendment that prevented the law from being used to discriminate against LGBTQ customers. Rippon is not the first to speak out about Pence over gay rights. In December, neighbors reportedly hung a "Make America Gay Again" banner outside his Aspen-area residence in Colorado.